Affiliate marketing is a great way to build a second income. Once you are earning more than your day job it will be time to quit and become a full-time affiliate marketer. This WILL take time and dedication but is 100% possible. 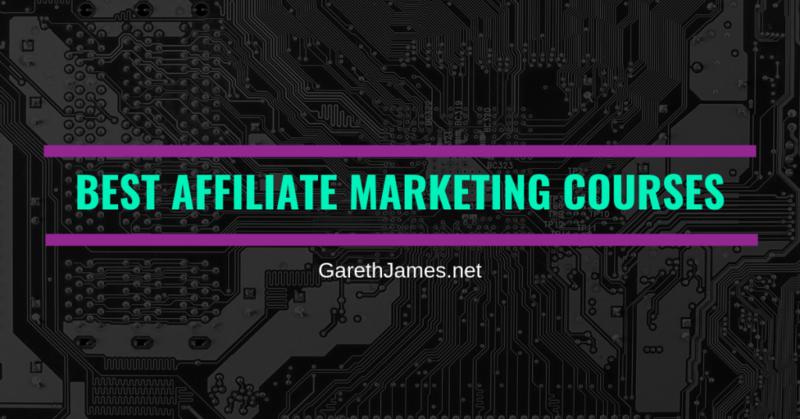 There are plenty of blog posts and Youtube videos explaining how to get started with affiliate marketing, but when you want to start making serious money, you will have to invest in a decent affiliate marketing course to get the ‘insider knowledge’. Some tips are simply not shared publicly and you need to learn from people who have been making good affiliate money for years. Most good courses will give you templates and roadmaps to follow, which can save you thousands of dollars and man-hours testing and experimenting. Here are a few affiliate marketing courses produced by successful affiliate marketers that are well worth taking. Authority Hackers is run by Mark Webster and Gael Breton, who have been building and flipping affiliate site for a few years now. Their site has a load of quality advice for people starting out and they also have a podcast well worth listening to. Along with all the free advice, they also have an affiliate marketing course called TASS (The Authority Site System). The affiliate marketing course is a complete step-by-step course for anyone starting out in affiliate marketing. The course has 70+ how to videos along with live case studies – they actually build sites live and show members how they get them earning. They have been under fire recently as their main case study site was hit heavily by the Google medic update. Although the site was hit, it does not detract from the quality of the information provided by the course. There are plenty of examples of people who have taken the course and now making 2K/month. John Crestani created the Super Affiliate System a year ago and the course has helped alot of students make some serious money. John Crestani made his money with paid advertising and this course focuses heavily on this medium. If you want to do pure SEO, then this may not be for you. But if you want fast scalable revenues then its must to check out. 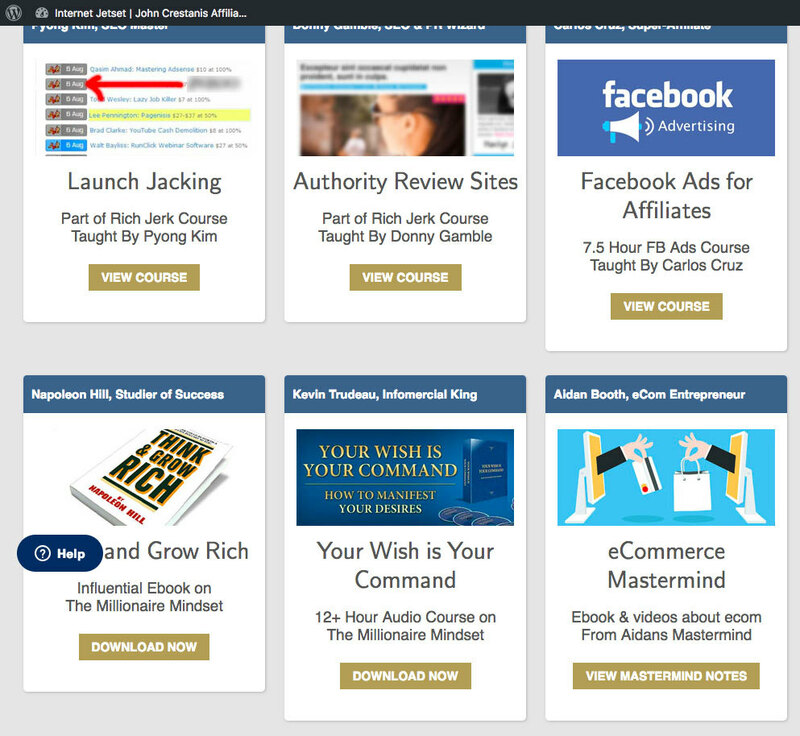 When you sign up to this course, you also get $800+ of free advertising to get you started. If you have Clickfunnels, he also gives away entire templates which you can use for the product or service you want to promote. You will also learn how to do affiliate marketing without a website. The course has tons of good testimonials so well worth signing up. This course differs from a lot of other courses as it also has vendor training. After spending years doing affiliate marketing, you realize it is more profitable to create your own products and get affiliates to promote them for you while you sit back and smoke weed on a beach. Clickbank affiliate platform has been around for years. Though they generally offer spammy affiliate programs, there are lots of affiliates who have made serious money with them over the years. Clickbank has it’s own affiliate marketing course to help it’s affiliates make more money. The new Clickbank University 2.0 course has been created by Justin Atlan and Adam Horwitz, both successful affiliate marketers and is an 8 week course. Along with the 8 week affiliate marketing course, they also offer a 12 week course for vendors looking to signup to Clickbank to get affiliates selling their products. Clickbank university also offers a 30 day money back guarantee. You will probably have heard of Matt from his blog or his PBN network (now sold) or maybe Chiang Mai SEO. Matt has been flipping 6-figure sites for a while now and has a solid system in place to scale things. The Affiliate Lab consists of 115 affiliate marketing training videos, which equates 12 hours of content. Membership also gives you access to the Affiliate Lab private FB group, where you can share your teething problems and struggles with like minded people. Then, when you do your first 6-figure website flip you can join the hall of fame mastermind. If you do not have any money to invest in yourself, there of plenty of places to learn the basics of affiliate marketing. Once you sign up to a few affiliate platforms, you will see they all have some basic training or blogs. CPA marketing is a form of affiliate marketing that deals exclusively with paid advertising. Udemy CPA Marketing Course – good starting out point to see if CPA marketing is for you.